When will be Iron Chef Gauntlet next episode air date? Is Iron Chef Gauntlet renewed or cancelled? Where to countdown Iron Chef Gauntlet air dates? Is Iron Chef Gauntlet worth watching? Kitchen Stadium die-hards, we have breaking news for you. Just this afternoon, Alton Brown sent this tweet, and with only one word and a single hashtag — "Finally. #IronChefGauntlet" — he announced an upcoming series. Here's what we know: Beginning in the spring of the new year, an all-new reboot of the beloved Iron Chef America is set to roll out. The name of this reimagined competition is Iron Chef Gauntlet, and as Alton hinted with an accompanying photo, he's set to reprise his role as the host and master of ceremonies. Like both Iron Chef America and its big brother based in Japan, Iron Chef Gauntlet will celebrate the highest echelon of cooking. Look for some of your favorite elements of battle from Iron Chef America, plus new twists that will leave you craving more. The five chefs must prove their versatility as they take on the Chairman's Challenge to create a dish that epitomizes the cuisine of one of five countries: Thailand, India, Spain, Greece or Japan. It's clear that no one is safe when a previous week's winner lands on the bottom. Then, the competition is neck and neck when two chefs face a particularly tough Secret Ingredient Showdown featuring a game meat, and judges Anne Burrelland Iron Chef Jose Garces send one chef home. Three chefs remain, but only one can survive to face the Gauntlet. The Chairman's Challenge narrows the field by forcing the chefs to adapt when they get to choose two difficult ingredients for their competitors to create one unified dish. Then, the two remaining chefs head to the Gauntlet Kitchen for their last Secret Ingredient Showdown, and judges Iron Chef Cat Cora and Rocco DiSpirito decide who has the chops to enter the Gauntlet. Iron Chef Gauntlet next episode air date provides TVMaze for you. 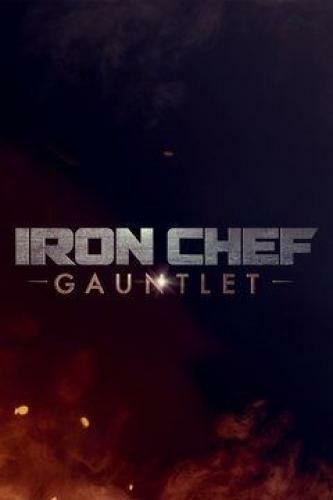 EpisoDate.com is your TV show guide to Countdown Iron Chef Gauntlet Episode Air Dates and to stay in touch with Iron Chef Gauntlet next episode Air Date and your others favorite TV Shows. Add the shows you like to a "Watchlist" and let the site take it from there.